Home Forum Hot Topics 2005 Cadillac XLR Axle Back Exhaust or Less Expensive Options? I wanted to express my excitement that I just joined this forum. I just purchased a 2005 XLR (The ruby red color – sorry didn’t look it up) with my father at a Mecum Auto Show last weekend. This my first post. At any rate. I wanted to ask – as one of the first mods my father and I will be changing the exhaust – is there an axle back system that is able to be purchased? So JUST the two mufflers with tips – nothing past the first break in the pipes after they come down from the axle to the straight pipe. OR perhaps a less expensive option than the 1800 Corsas that I am finding is the only option for the 2005 … maybe a used set if anyone knows? Please let me know what you guys have seen or others have done. 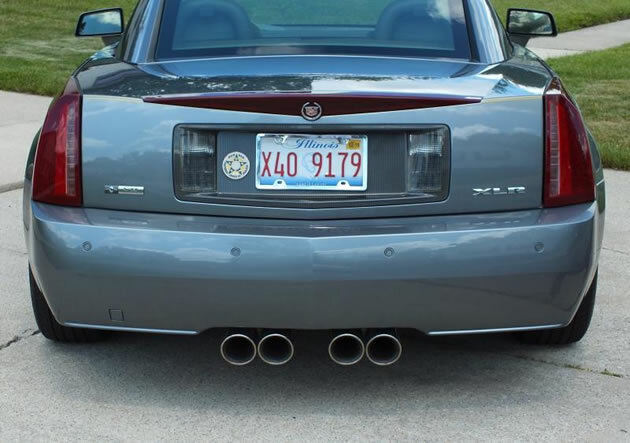 Chime in on the XLR Net Forums: 2005 Cadillac XLR Axle Back Exhaust or Less Expensive Options?